How to Make Pomander Balls - C.R.A.F.T. Not gonna lie, I did not know what to call a mandarin covered with cloves! After a quick Google search, I discovered theses little guys are officially called pomander balls. In layman’s terms a pomander ball is any piece of fruit studded with cloves. 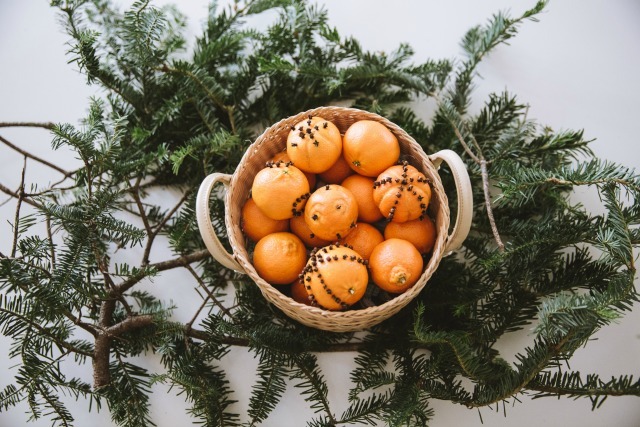 I teamed up with Wonderful Halos to share how to make pomander balls with mandarins. 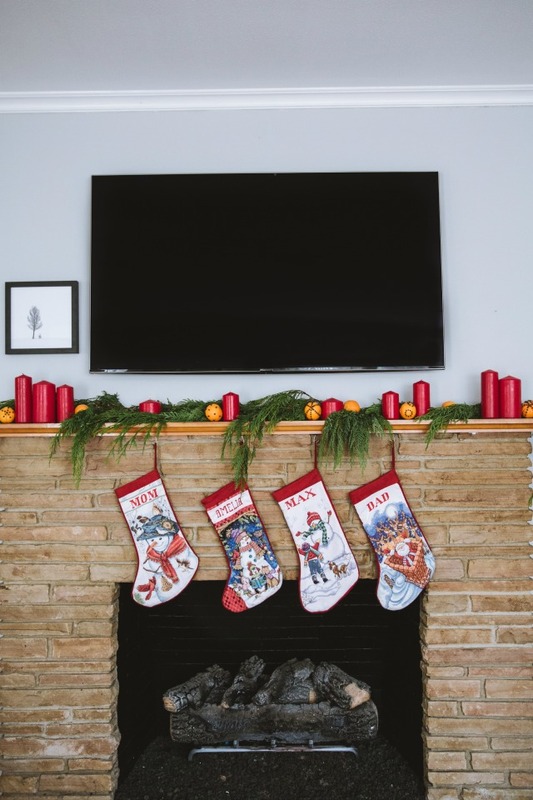 They make your house smell delicious and instantly spruce up any space in your home for the holidays. I used them on my mantle and as a centerpiece on our main dining room table. 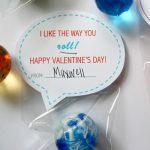 I’m likely going to give them out as teacher and neighbor gifts too! I’m obsessed with my Chrsitmas mantle. The best part? It’s so easy to put together and most of it is compostable. Y’all know I like my compost. (Read: nothing to store away after the holidays.) I bought a real garland from my local nursery and the red candles are from Ikea. 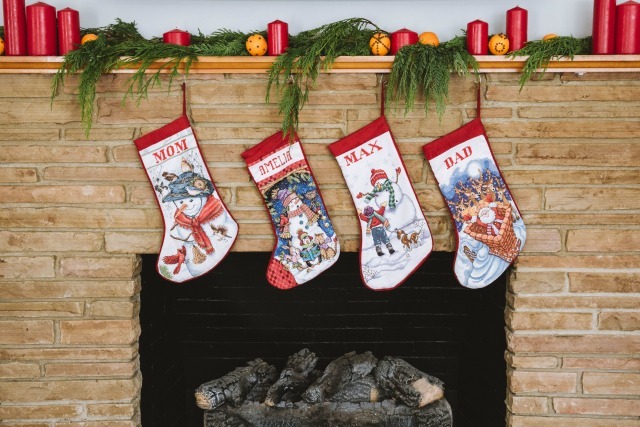 My mom cross stitched our beautiful stockings for us, and the little tree picture lives on the mantle year round. 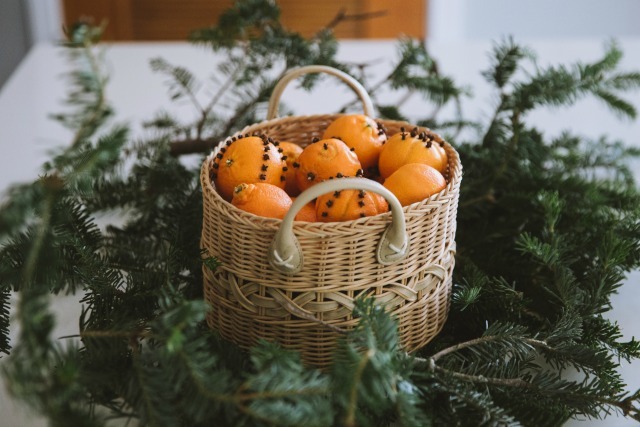 The pop of orange with the pomander balls is perfection. Sweet, simple and festive! I seriously love it. 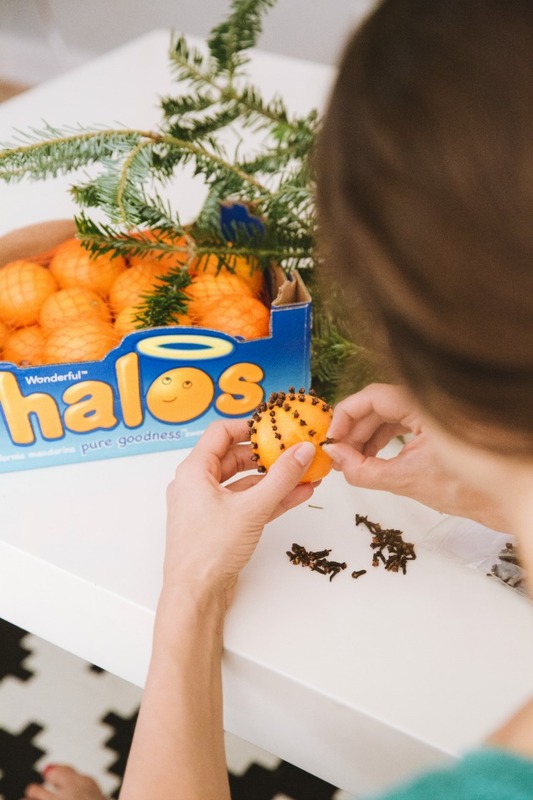 Warning: Making pomander balls with Wonderful Halos mandarins is addicting! 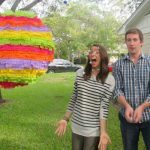 You might make 30 and want to keep making. So grab your pomander ball materials and a hot chocolate, turn on the tunes, and get cozy. You only need the citrus zester if you want to carve designs into the mandarin peels, totally not necessary but I think it’s fun to mix it up. You want to start with firm, fresh mandarins. If the fruit is old or mushy you will likely have a hard time getting the cloves to stay put. I used a small nail to pre poke a hole in the mandarin to insert the clove. This is also not necessary, but if you do not use a nail, you will likely break some of the cloves. 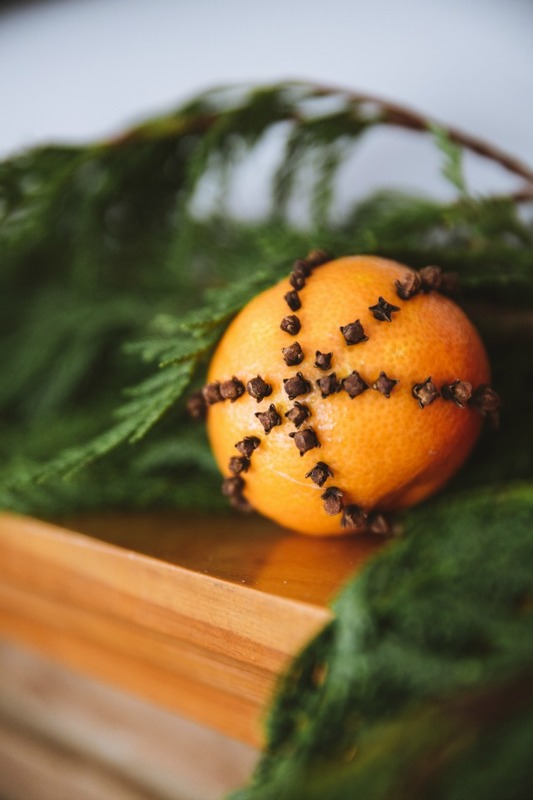 Making clove studded mandarins is seriously that easy! This is a classic design with straight lines that go all the way around the mandarin. 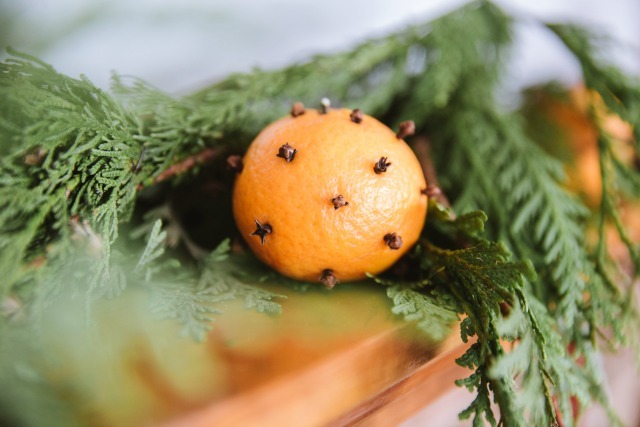 This is the simplest pomander ball to make with random cloves spaced out around a mandarin. 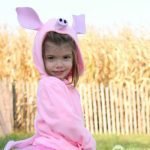 You can make this beauty in 5 minutes or less! Carve the lines first and add cloves second. I recommend starting with a simple straight line from the top of the mandarin to the bottom. Use the corner of the citrus zester to make thin lines. Don’t worry if your first couple of lines aren’t pretty, just eat the tasty little mandarin and try again! Curved lines take a little patience. The swirl pomander ball you see below took me way to long to make, ha! I love the pomander balls as a centerpiece for my dining table. I bought the basket for less than $5 at a thrift store and grabbed a few free tree branches from my local Home Depot. We use a fake tree, but I love to add a few real tree branches to my holiday decor. 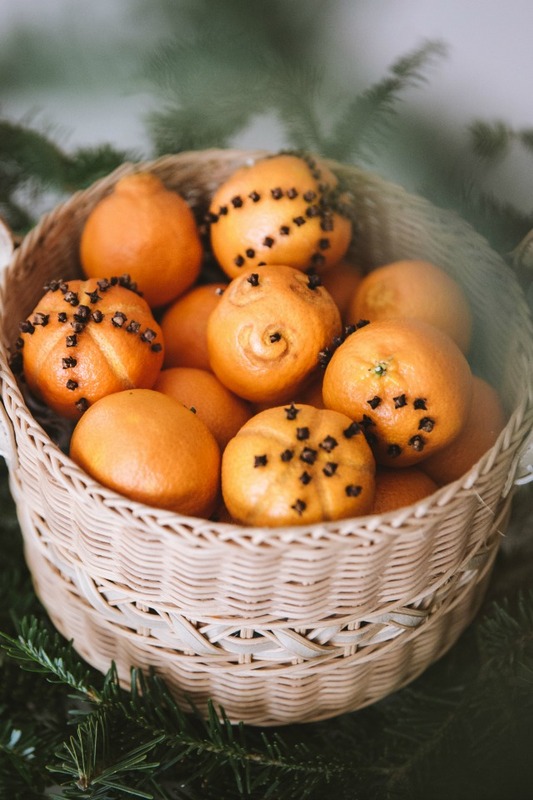 The citrus and cloves plus the fresh Christmas tree smell is up there on my list of favorite smells! How Long do Pomander Balls Last? Great question! I’ve had my pomander balls out for going on 9 days and I had to compost my first one today. The mandarins without the carved lines still look great, it’s the ones with the carved designs where I’m noticing some browning. I can tell you that they still smell amazing! 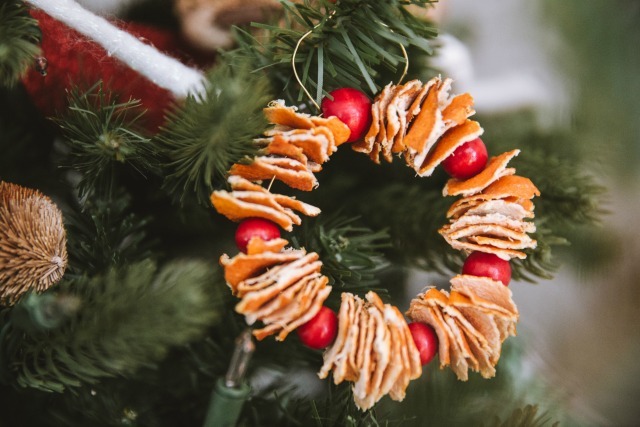 Here’s a fun idea for when the mandarins start to brown, peel ’em and use the peels to make these adorable wreath ornaments for your tree!